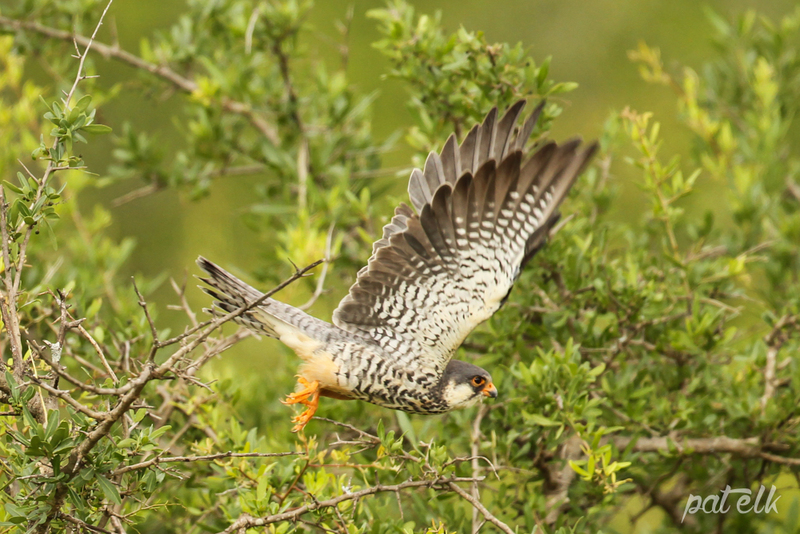 The Amur Falcon (Afrikaans name, Oostelike Rooipootvalk) is a Palearctic, non breeding migrant, travelling huge distances from E Asia where it breeds in E Siberia, E Monolia, E Korea and E China. Arrives in November and departs in March/April. 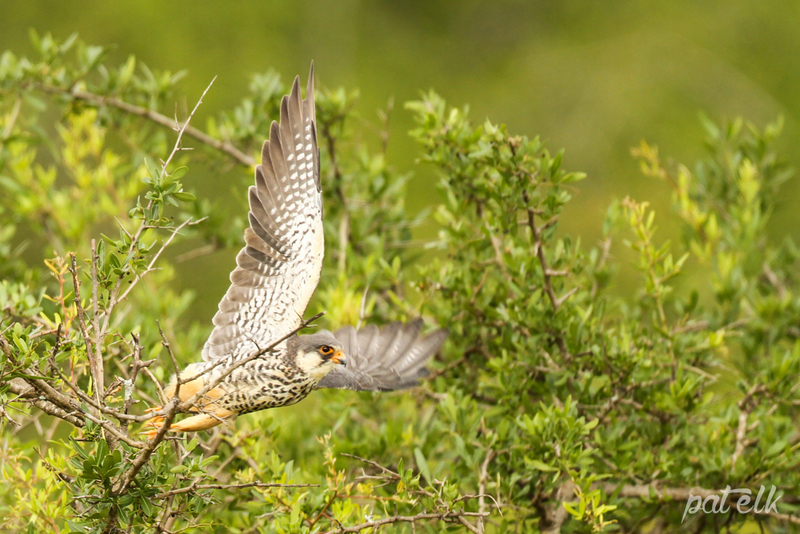 We saw this Female Amur Falcon in the Kruger National Park.